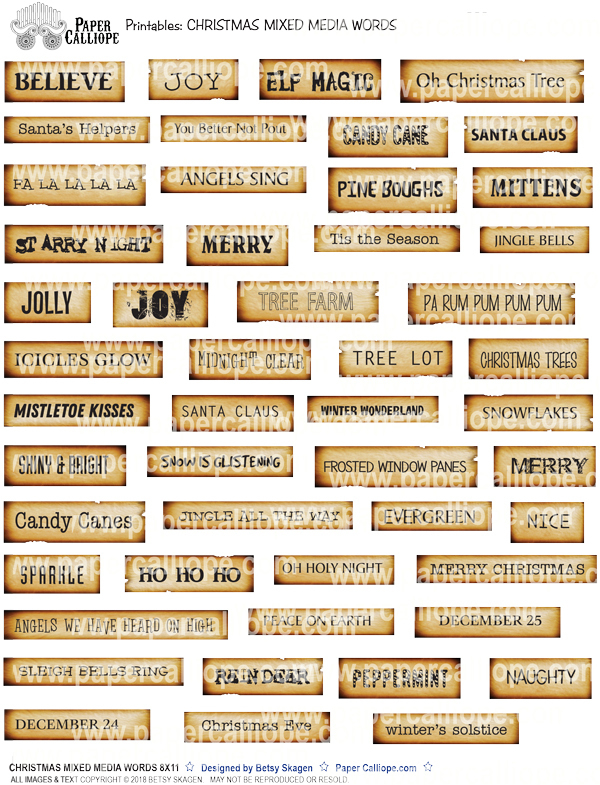 Fantastic distressed holiday words for you to use! Perfect for art journals, mixed media, collage, scrapbooking and altered art enthusiasts who want to add to their ephemera collection. Just remember, only you are given rights to use the digital file. ​Resources are copyrighted by Betsy Skagen and are only for your personal use, or for commercial use in works of art that are made by hand only. The images are not for resale or redistribution.